Wheat Free for companions with sensitivity to wheat. 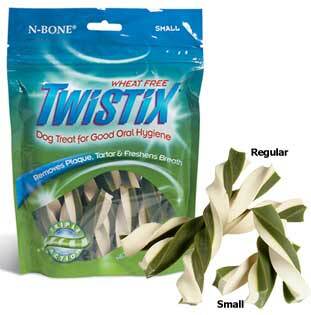 Unique twisted shape improves plaque and tartar removal during chewing. Improved solubility and enhanced digestibility.